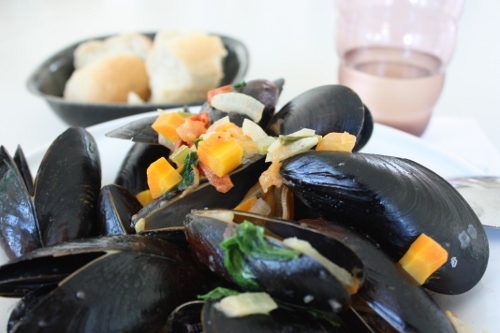 Mussels are easy to prepare and super delicious, specially with freshly baked homemade bread or French fries. 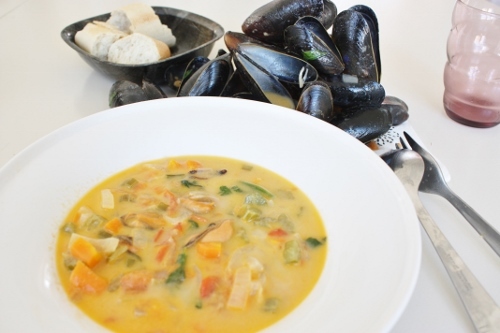 I usually steam the mussels traditionally with some white wine, this time I made it with tomatoes and chili, the tomatoes gives the soup a lovely golden color. 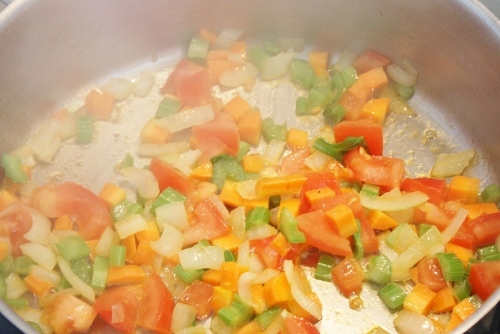 Cut the vegetables into cubes and saute them in butter then add the chili. 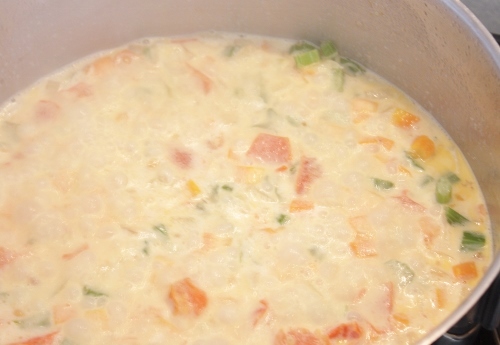 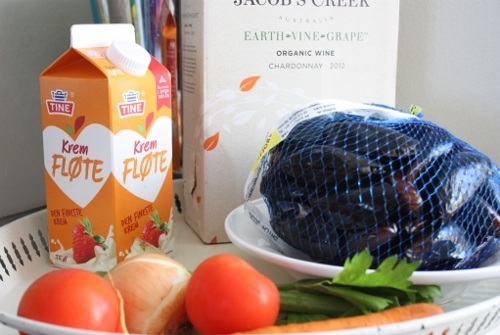 The next step is to add wine and cream, salt and pepper to taste and boil. 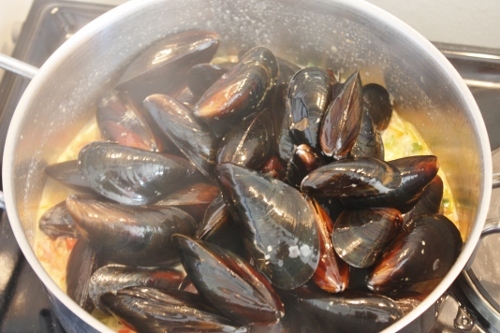 When the soup is boiling add the cleaned and rinsed mussels. 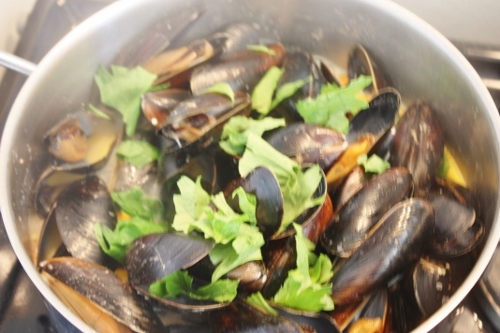 Cover the pot and let the this simmer untill the mussels open I garnished with some choppwd sellery leaves.